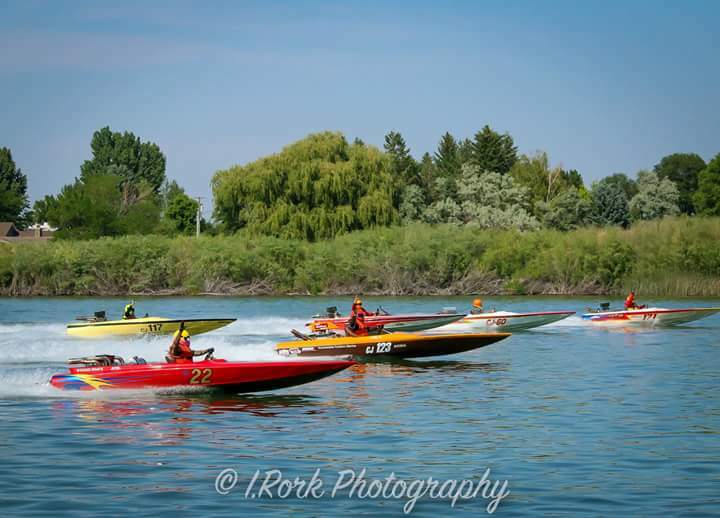 BURLEY, IDAHO – Congratulations to Tom Bandy and the Ballinjack crew crew for winning the Idaho Regatta Burley Cup in the APBA Comp Jet class sweeping all four heats of the race. The 19’ Liberty owned by Jack McClure and powered by a DNE Motorsports big block Chevy also shattered the course record by 107.8%. As you can see from the videos of the first heat, the Ballinjack is in a league of her own pulling away from the competition at the start and dominating all the way around the course. 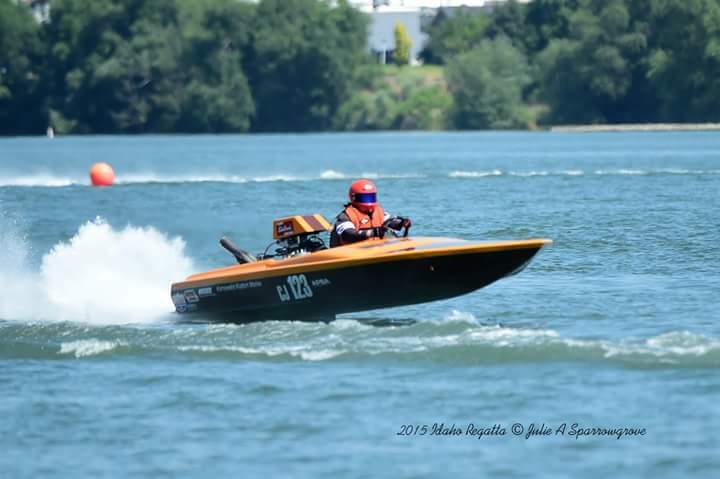 Jack and Tom got together about 10 years ago and started playing around with ski boats and later drag boats. Built in 1976, Jack raced the Liberty in the late-70s and early 80s with some success. After some prodding, Tom convinced Jack to resurrect the Liberty from mothballs and compete again. The duo engaged Dave Ebbert of DNE Motorsports to put together a competitive big block for the boat. DNE has been dominating the drag boat and drag car circuits for several years now, and built this 1000 bhp package with a 4” forged crank, Carrillo rods, as well as Edelbrock EFI and intake. Class rules do not allow for sheet metal intakes or aluminum blocks and require common port heads, making the job a bit more difficult than usual. Also, the special requirements put on the engine when running a jet propulsion unit had to be dialed in by Dave and team. Jack at Burns Stainless consulted with the team closely in developing a proper header system for the package. In addition to the Burley Cup, the Ballinjack also ran in the infamous Kilo race open to any boat that had a podium finish in a sanctioned event. The competition is to clock the fastest flying kilometer and flying quarter mile speed. Again, the Ballinjack set the bar at a new level shattering the world record of 96 mph with a blistering 108 mph run. The flying Kilo record is now a staggering 113 mph.